Before going to Cambodia, I had never heard of Battambang. 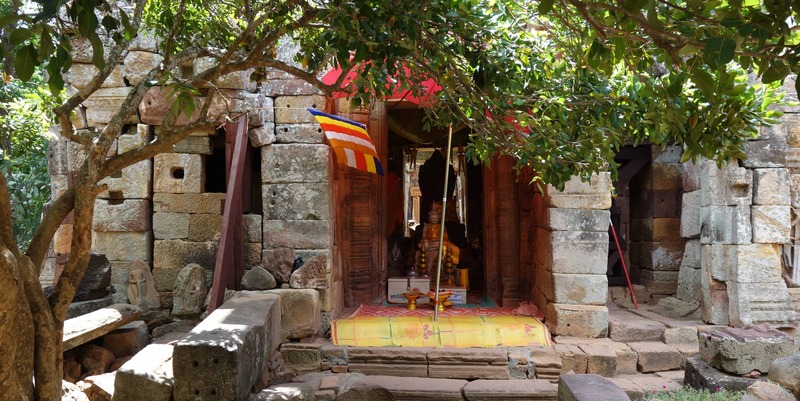 The town isn’t as famous as Angkor, with its many temples, or Phnom Penh, the capital. Bus connections are slow and the town falls asleep in the evening, with shops and restaurants closing early. But despite all these drawbacks, Battambang is a town worth of appearing on every Cambodia itinerary. The area is dotted with sights and we spent a great day exploring the Cambodian countryside. Here are some of the highlights you should check out when travelling to Battambang. Times needed to visit do not include travelling times in between sites, but we managed to see all of the below in one day. The bamboo train was once used for transporting rice from the fields. 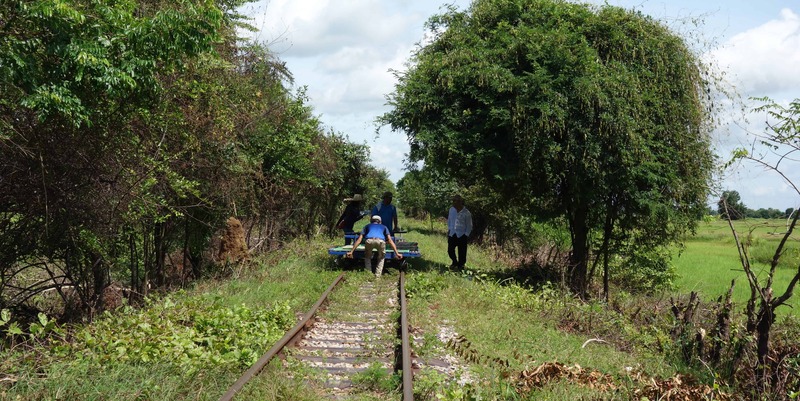 The tracks start near Battambang, where you will be seated on a wooden platform. Someone lifts a motor onto that platform, attaches it to the wheels and off you go, rattling along through the rice paddies. Ask for cushions and be sure to take them with you when changing trains, as the ride gets bumpy. Since there is only one track, chances are high that either you or the passengers facing you will have to get off. Watch as the ‘train’ gets dismantled within seconds, and then gets put back on the tracks just as quickly. Priority always goes to the largest group, while the smaller group has to get out of the way. Wat Banan is a beautiful jungle temple located close to Battambang. The crumbling ruins were built on top of a hill and are similar to those at Angkor, minus the tourists. We were the only foreigners here when we arrived. From the hill, you also have a great view of the surroundings. Bat cave, located in the countryside south of Battambang, is home to one million bats. They all leave the cave at sunset and set out in search of food. Did you know that those little animals can eat their own bodyweight in insects in one night? Quite amazing, isn’t it? 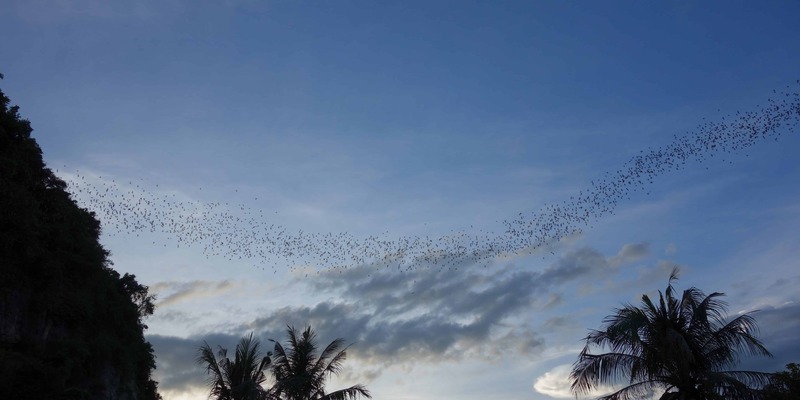 Seeing one million bats fly out of the cave is one of the most stunning natural wonders of Cambodia. The stream of animals goes on and on and on, it just doesn’t stop. If you haven’t had any local food yet, this is your chance. There are many restaurants around town serving Cambodian food. I can highly recommend the fish amok at Naryn Kitchen. If you are interested in learning how to prepare local dishes yourself, the restaurant also offers a cooking class. Most travellers have heard of the Killing Fields near Phnom Penh. But what many people do not realise is that there were similar places all over the country. The Killing Cave near Battambang is one of them. Thousands of people lost their lives in here, being hit over the head before the Khmer Rouge pushed them into the darkness. 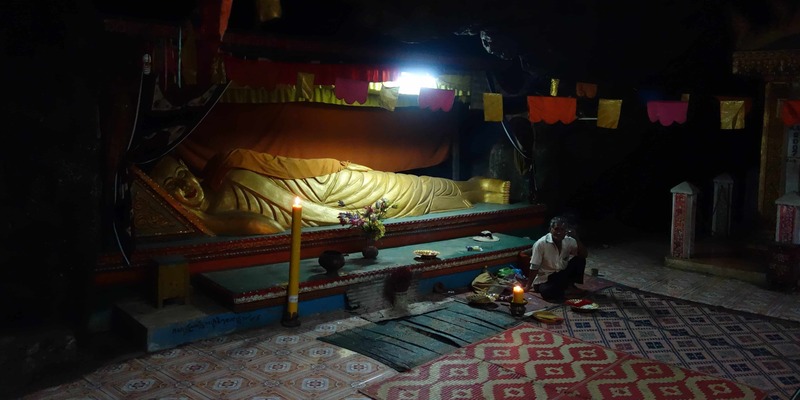 These days, some of the bones have been collected and laid to rest and you can find a golden Buddha on top of the cave. Somewhere in between Battambang and Wat Banan, two trees are the home of a colony of fruit bats. Fruit bats are active during the day and they are huge. When we saw them flying in between the trees, I first thought they were birds. If you’re interested in seeing them (and you should), ask your tuk-tuk driver and he can stop on the way to Wat Banan. 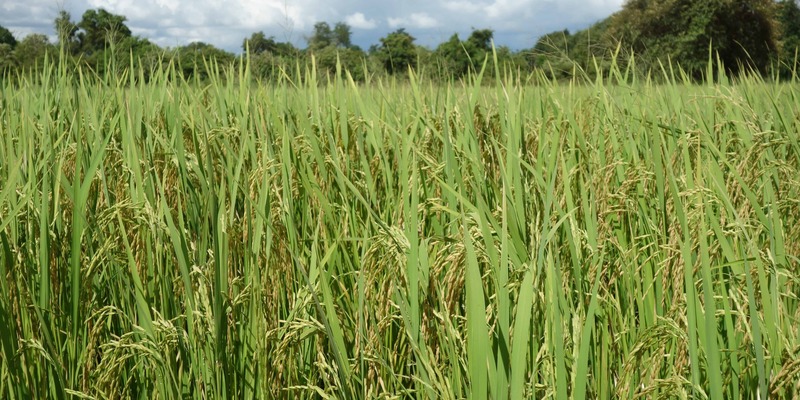 To get from one site to another, around Battambang, you will be driving in between rice fields. Some of them were so green, their colour almost looked unreal. At one point, out tuk-tuk driver stopped and showed us a field that was ripe for harvesting. It was quite interesting to see what rice looked like before it appeared in the supermarket. If you’re tired of Asian food or just need some comfort food from home, you can find it easily in Battambang. The Lonely Tree Cafe serves Spanish dishes, which are not very similar to the Spanish original, but still very good. Plus, all profits go towards social projects and support various causes in Cambodia. For breakfast or lunch, you can get great waffles in the city centre. Enjoy!